The phrase “hidden gem” is the perfect way to describe Endorphina slots. A relatively new player in the mobile casino scene, this developer is making significant waves and producing outstanding titles. 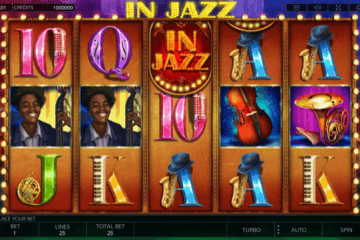 Even the biggest and most successful casino software developers would be jealous of Endorphina slot games like Voodoo slot, Diamond Vapor and Satoshi’s Secret. The firm was established in 2010 with two clear motivators: using cutting edge technology and offering players a real authentic gambling thrill. The Czech Republic based company are in the process of achieving both goals, recently switching to HTML5 for some of their slot games development. While they have only been in operation for a handful of years, they have already picked up some silverware, winning best slot game for several of their titles. With over 50 games in the developers’ catalogue, there’s plenty of worthy contenders for best slot pick here. Each of their games do contain various similarities however. Artistically, these are some high quality games – not quite NetEnt quality, but certainly better than some tier one developers. All Endorphina slot games also include a gamble bonus round. During the bonus game – you play against “the dealer” – the objective being to have a higher card than the dealer. The risky part however is that you have to choose from four face down cards. The odds may seem stacked against you, but you actually have a genuine advantage: the dealer always plays his card face up. This can lead to some strategic and tactical gameplay; if the dealer has a low value card, you could get a win. If the dealer has a 10 or higher however, your chances of winning are much lower. Let’s face it – would you risk it all to see if you can beat a king with only a 25% chance of success? Ready for some fruit machine mumbo jumbo? This 10 payline and 5 reel slot is brimming with winning magic, especially if you activate the 10 free games rounds. In an interesting diversion from the norm, the Voodoo man symbol acts as both scatter and wildcard. Match three of his symbol and the free games will activate – every winning combination will result in expanding symbols for some more enchanting wins. 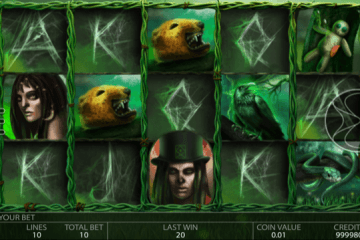 Endorphina slots tend to tackle themes you wouldn’t usually expect from an online casino game. 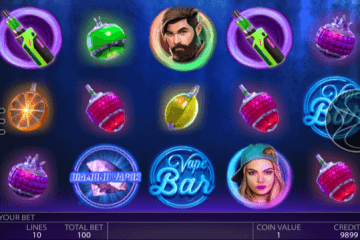 An example of this is Diamond Vapor, which is like a slot game promo for vaping. So if you have ever had wild fantasies of being a master hacker or becoming a Bitcoin whiz kid then Satoshi’s Secret slot is the game for you. Featuring 20 paylines and 5 reels, the Matrix graphical style is immediately impressive. Activate the bonus round and you can finally live those cyber-criminal fantasies with the QWERTY bonus game. Granted, it’s a bit weird to have a bonus game based on hacking into imaginary peoples bank accounts – but it’s fun nevertheless. And nope, we have no idea who Satoshi is either.